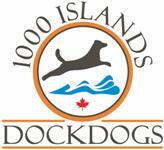 Dock jumping & dock diving, performance sports for dogs. A community choir that showcases Newfoundland, Maritime and Celtic culture and music in the Ottawa area. Force free techniques specializing in "clicker" training. A locally owned business dedicated to helping all dog owners understand the how's and why's of biking with your dog and to bringing you tested, approved and SAFE products that will make your outings even more enjoyable. Everything to spoil your Favorite Pets! A non-profit dog rescue based in Ottawa, Ontario that specializes in the Bullie breeds. Hopeful Hearts Rescue was created in late September 2007 to help fill a void in the local rescue world for senior and special needs dogs. A dog sports centre to appeal to all your senses. A canine daycare that offers a fun, safe and secure home environment for every dog. A locally owned and operated family business that provides everything for the four legged friend. A local dog training school in the New Edinburgh area. A resource for people in Ottawa about everything to do with dogs. A grooming business that uses gentle, patient treatment of your pet during it's visit. A self taught Ottawa artist who paints and draws quality pastel and graphite wildlife and pet portraits. A local multimedia web designer and illustrator. Cotton-rich layettes for your precious baby. An organization that provides information on responsible dog ownership. A self-taught wildlife and portrait artist.